Regardless of your age, income levels or future goals we can help you develop a plan that fits your needs. Take time to talk to our financial advisor, Marianne Watson, today! 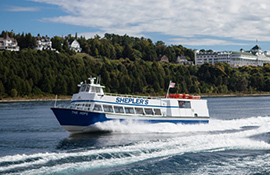 Family Owned Ferry Business Since 1945. Family Owned Bank Since 1905.